An earthquake measuring 6.0 in magnitude has struck near the Peru-Chile border, according to the US Geological Survey (USGS). The quake was measured at a depth of 128.1 km, the survey added. 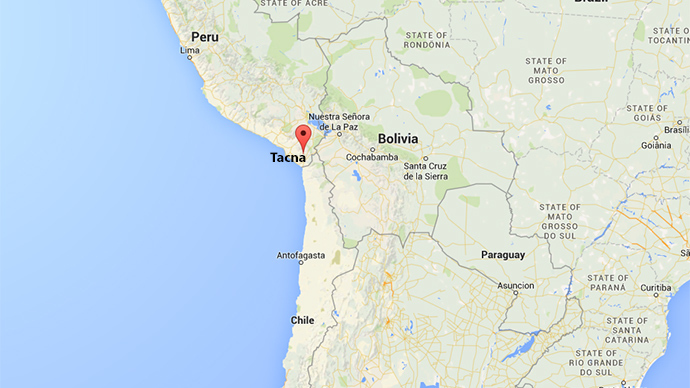 Tremors were felt 105km from the city of Tacna, a commercially active city in southern Peru, with a population of nearly 250,000 people. The quake was also detected 33km southeast from the small city of Putre and 99km east of the larger city of Arica in Chile. According to Chilean National Seismological Centre, the quake was measured at 6.3 on the Richter scale, ascitedby the local 24 Horas TV Channel. National Office of Emergency of the Interior Ministry said that the characteristics of the earthquake do not meet the conditions necessary to generate a tsunami. In 2014, Chile was rocked by multiple earthquakes that resulted in six deaths. Almost a million people were displaced due to tsunami warnings. In 2007, Peru was hit by an 8.0 magnitude earthquake which killed 519 people and left 1,366 injured. A tsunami warning was issued for Ecuador, Chile, Colombia, Panama, Costa Rica and even Hawaii.